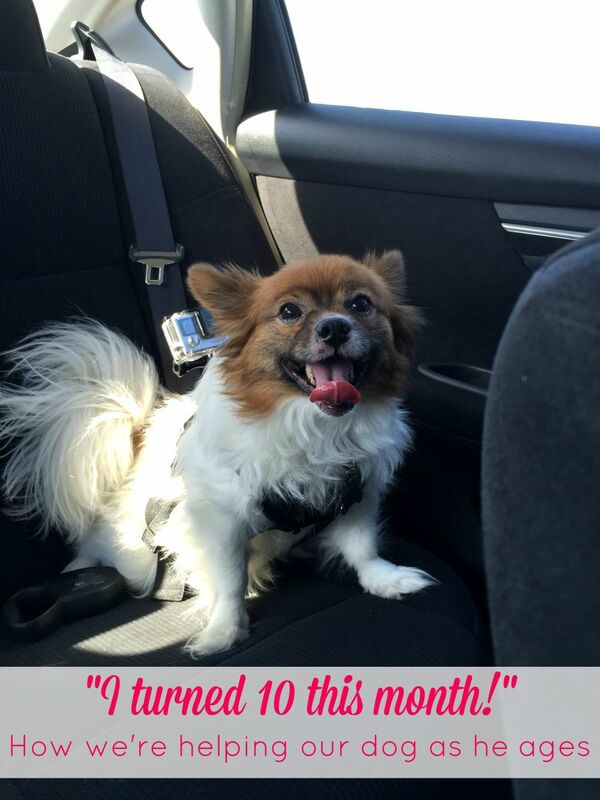 Our little Papillon named Dart turned ten! So I’m celebrating this month by sharing a variety of posts about our dog, our relationship with him and how we’re helping him as he ages. I’ll never forget the day he entered our lives and neither will our kids. He was, to this date, the best Christmas present they’ve ever received. We’ve been spoiled by Dart with his love for us, his playfulness and what an easy dog he is to take care of. The last couple of years we’ve noticed his aging (and what all comes along with that) more and more. From not being able to jump up on things like he used to and walking a little slower, to even running into walls and tripping up the stairs. Poor little guy! Some days are better than others and we’re doing everything we can to make sure these last years of his life are the best they can be. Can you tell he had the time of his life?! Sticking his head out the window and seeing the other dog friends in PetSmart were the highlight of his trip. 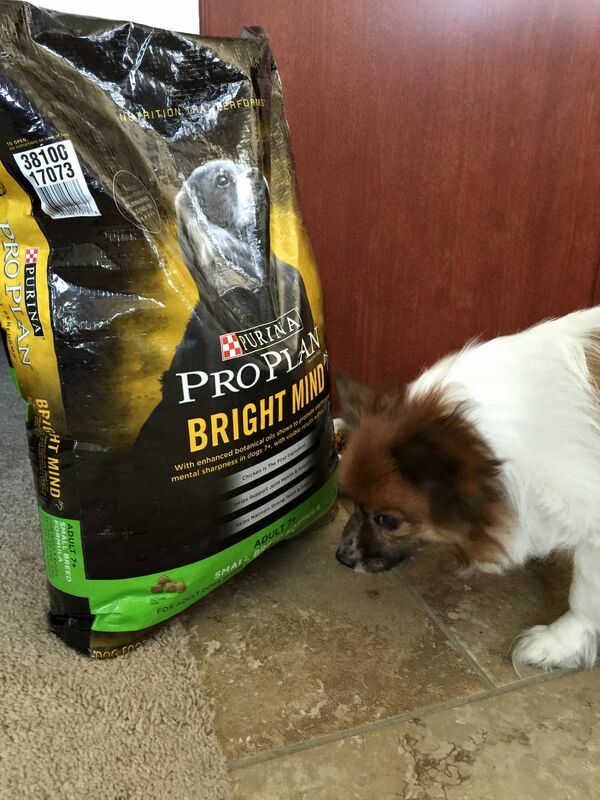 As well as purchasing new dog food that we’ve been gradually switching him to – Purina® Pro Plan® BRIGHT MIND for Small Breeds. I remember having a conversation about a year ago with a family member whose dog is older than Dart is. He mentioned his vet told him how the food we’re feeding our dogs when they’re older can make a huge difference in their overall quality of life. 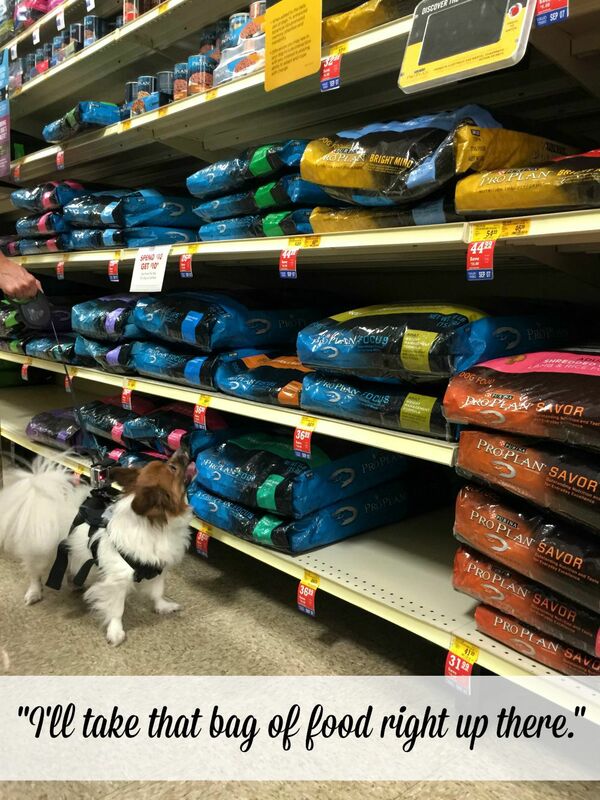 Just like us, the kinds of food dogs fill up on matters. We’ve slowly been transitioning Dart to Purina Pro Plan BRIGHT MIND and he did perfect with the transition. 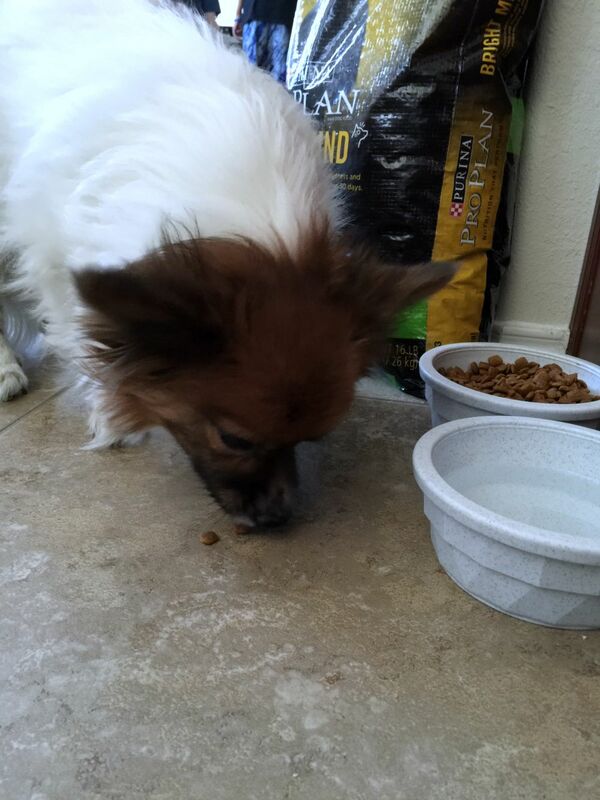 That’s all he eats now and he gobbles it right down within a matter of minutes. 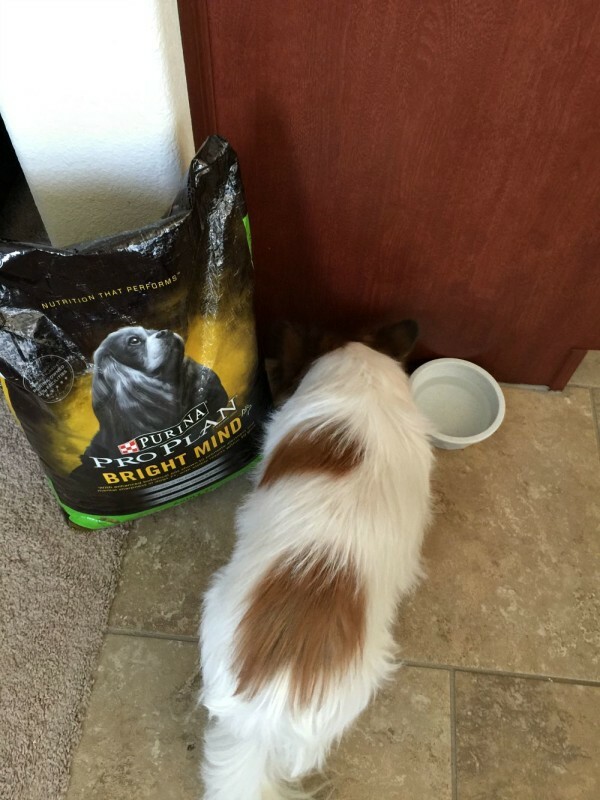 The experts at Purina have done their research and know that at around the age of 7, the glucose metabolism in a dog’s brain begins to change. That affects a dog’s memory, learning, awareness and decision making. The BRIGHT MIND formula contains enhanced botanical oils, which promotes memory and attention. Did you know a dog is considered senior at age 7? I didn’t. Out of the approximate 87 million dogs in the U.S., it’s estimated that around 44 percent of them are seven years and older. Is your dog in that 44 percentile? Do you have an adult dog? If so, what are some of his favorite activities to do with your family? I would love to hear about them! 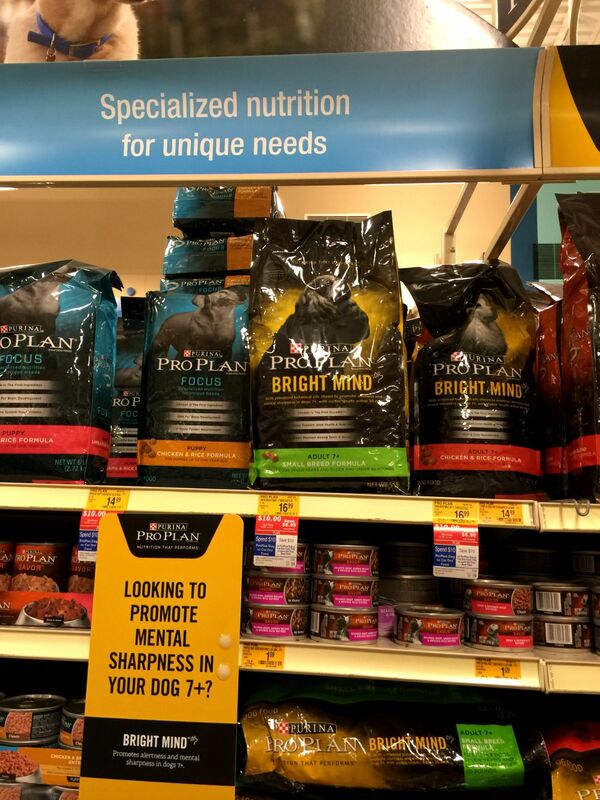 You can find out more about Purina Pro Plan BRIGHT MIND dog food by visiting their website. They share a sweet story about a dog named Sierra and her family. 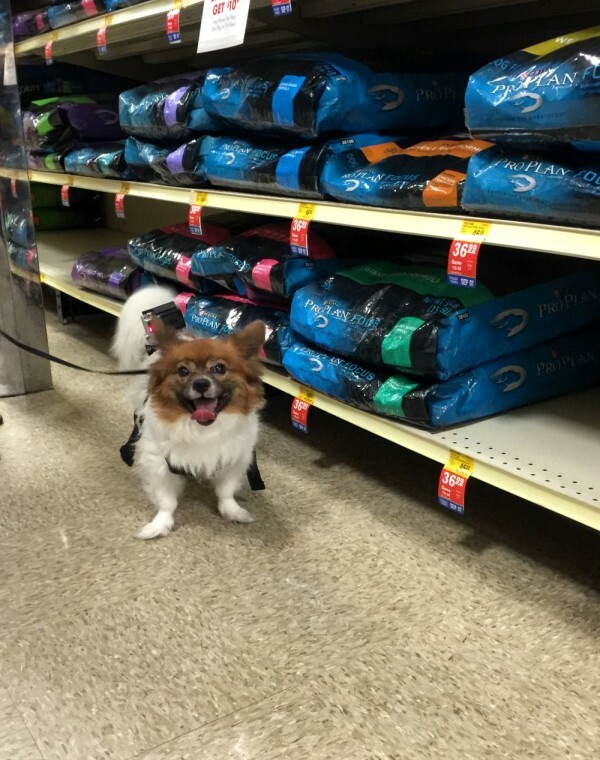 He absolutely loved his trip to PetSmart! We’re going to start making it a more regular occurrence. What a cutie! Does he like the way it tastes? I have an older dog too and he’s slowing down a lot. Same question. Does he like the taste?